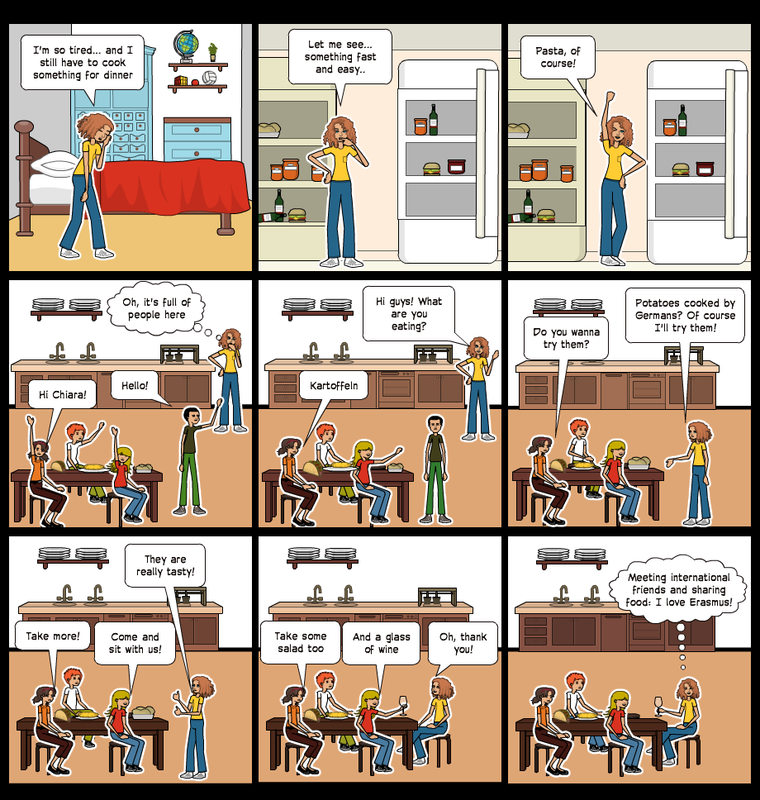 Chiara: My comic shows an ordinary evening in my flat. I live in a student dorm and I share the kitchen with 12 people from all over the world. I often meet someone in the kitchen and I am really curious about what people usually eat for breakfast, lunch and dinner, because it is completely different from what I am used to. Therefore, we always taste each other’s dishes and at the end of the evening we have a completely different dinner from the one we had planned.